Hello all! It's been a pretty long time since I've updated anything here and while the year is almost coming to an end there's a new range of skin care that I'd like to introduce. There are so many skincare that are available off the shelf and I wouldn't be able to claim that one is better than another but what I can confidently say when people ask me about skincare is that knowing what your skin craves for is the most important thing in choosing your skincare. For eg. If you have dry and sensitive skin, you probably will try to avoid products that are suitable for oily and acne prone skin. We cannot choose our skin care just based on good ratings or reviews. It has to be good reviews from people who have similar skin type and also experiencing the same problems. That will better determine if it is a product that is suitable for your skin type. Before we start, I'd like to briefly talk about my skin type so people with similar skin condition can better relate. I have dry and slightly sensitive skin. My skin was once so dry that I cannot not have serums, lotions or cream on. It will start to feel super tight and just one night without enough moisture will cause my skin to flake. My skin sensitivity only improve as I grow, it has become more tolerant, perhaps it has learnt to adapt due to the constant change in temperature while I'm travelling. However, it is still very sensitive towards dust and scratches. 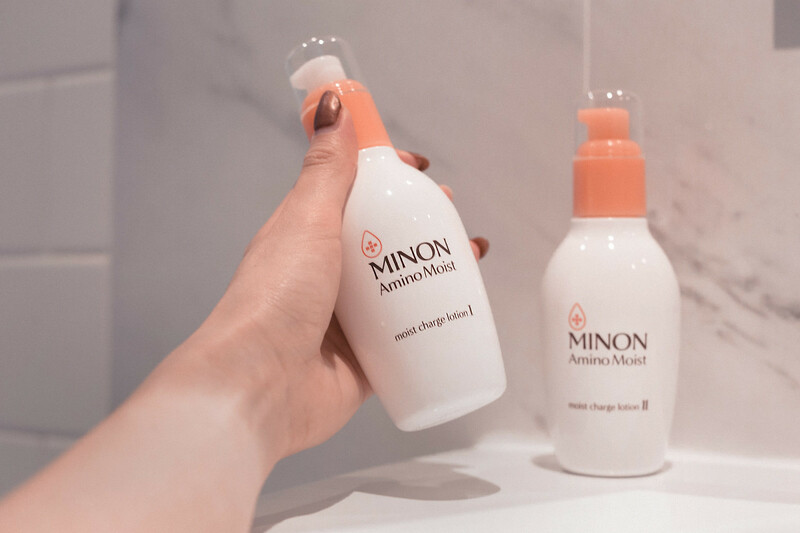 For those who have watched my IG stories regulary, you might have seen MINON's products appeared before. Till date I have switched my day skin care routine to Minon for about 2 months. 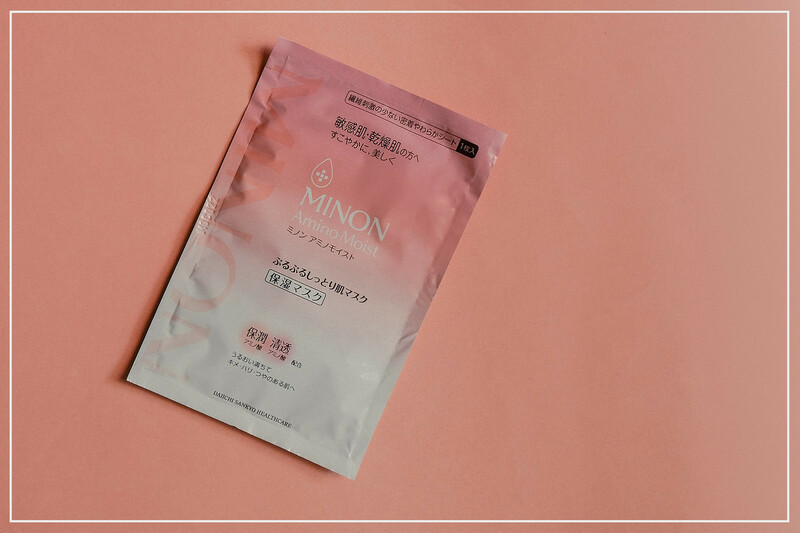 First off, MINON Amino Moist is a skincare product series produced by Daiichii Sankyo, a global pharmaceutical company from Japan, to meet the needs of female users with sensitive and dehydrated skin. The full range consist of 5 products and I will take you through step by step. To begin, after cleansing your face, put on moist charge lotion one. This lotion is light weight and seeps into the skin easily without leaving it sticky. For those with oily skin, this is good to keep your skin hydrated without adding stress to your skin. 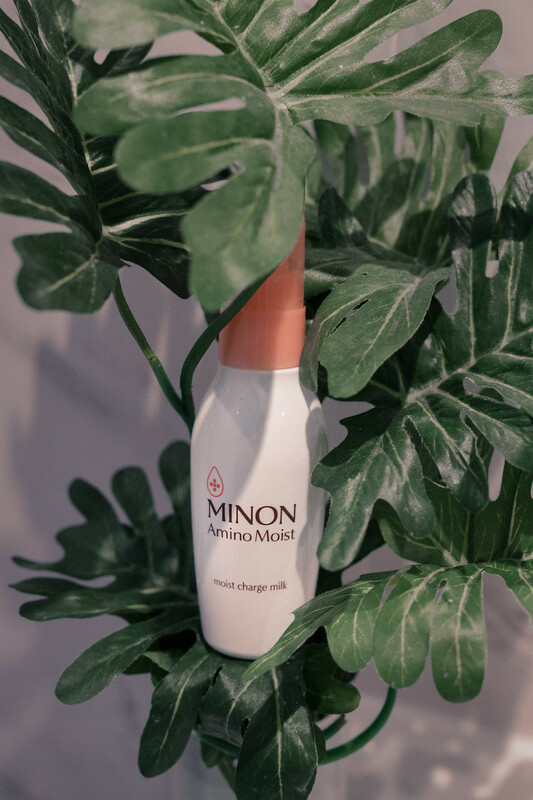 In comparison to moist charge lotion I, lotion II has a richer texture and would definitely cater to those with dryer skin. For me, I do not pick in between lotion I or II, I use them together. This has got to be my favourite of all! As the name suggest, it has a milky texture and it is also more intense in terms of moisturising and hydrating. 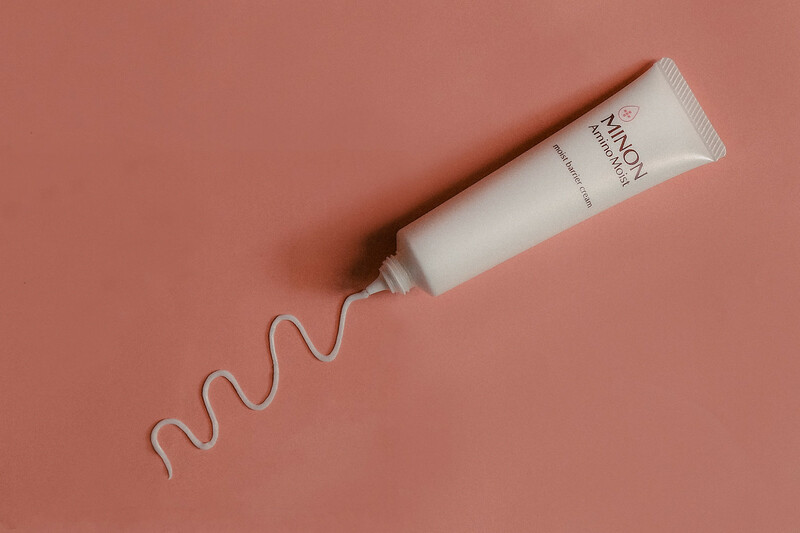 It is thicker than both moist charge lotions and absorption takes a tad bit longer but when fully absorbed, it gives your skin a super smooth and supple touch. This comes in a small tube but don't judge it's size to it's ability! 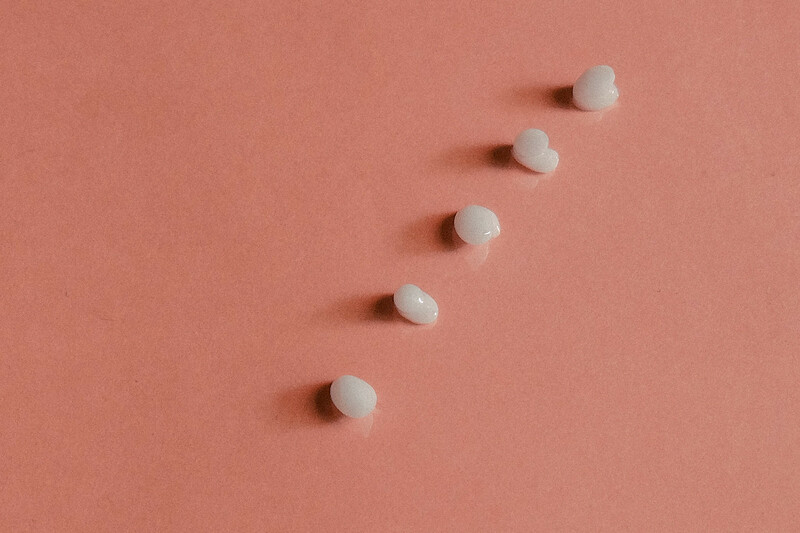 This cream is made for localised care around the eyes and mouth, don't you hate it when the skin at the corner of your lips are chapped and dry? I always encounter problems at these specific areas, corner of my lips, under eye and at the tip of my nose. These areas are extra sensitive and it always acts up especially when I'm on a flight. For my recent two trips, I had it stored in my hand carry and apply it twice on flight and viola, no dryness and no flaking! It also has the ability to reduce fine wrinkles and replenish oil to give dry or aging skin a natural luster. I do not have wrinkles yet to give a comment on weather it works or not but what I feel is that it will not happen overnight so do not expect miracles. Last but not least, for a complete skin care routine how can we miss out on a mask? It's like having dessert after a main course, giving us total satisfaction! This mask is generously soaked in a unique gel serum. I prefer to have my mask on and lie flat down to avoid having all the moisture slowly sip to the lower half of the mask. This mask is also packed with ingredients that will not only hydrate but give you a brighter and softer skin. 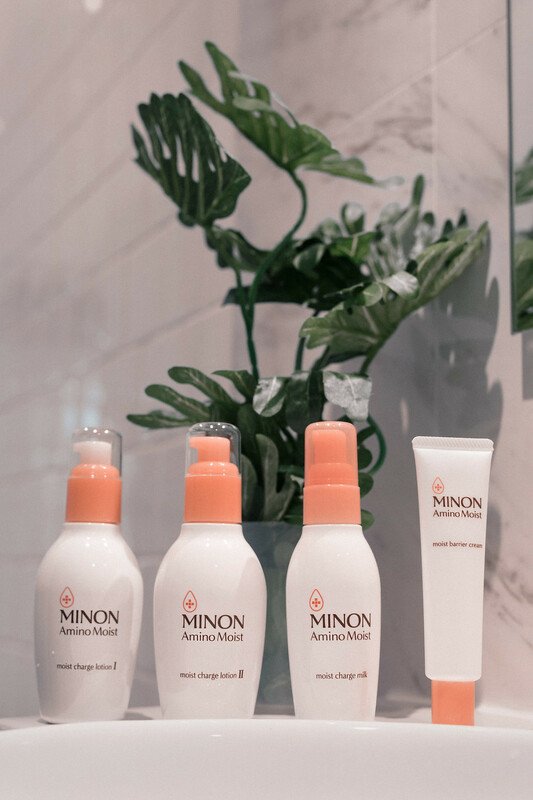 To conclude on how I feel after 2 months into MINON, I absolutely think that it's a good series for hydrating and all products fair about good. There's no particular product that I feel does not work. However, personally the Moist charge milk and Moist barrier cream are the two that I will recommend and replenish! Amino Moist products are now available at selected Watsons stores, Nishino, Mediya and Don Don Donki!